Here we provide guidance on the Detailed Disclosure pillar of the Disclosure Framework. This pillar comprises the 11 information areas that should ideally be addressed in a company’s water disclosure. The framework is not intended to indicate what elements of corporate water management and disclosure are most important or the order in which companies should address them. Rather, it offers a way to categorize and understand the many types of water-related information that companies report. The guidance provided in this section is divided into basic and advanced practices. While basic practice provides a good starting point for companies with limited experience in water management, advanced practice represents the full range of information that companies ideally report. However, some companies, depending on their size and the importance of water to the business and stakeholders, may not deem it necessary or valuable to implement this full range of practices. Some companies, particularly SMEs or those for which water is only marginally significant, may opt to focus on reporting the information suggested for Company Water Profiles (see Section 3), and disregard basic and advanced practices altogether. Many aspects of Detailed Disclosure call for companies to report actions, risks, impacts, etc., for specific geographic or geopolitical regions, as opposed to their global operations. For example, a company might report that it faces water risk due to ineffective water governance in a specific country, or perhaps discuss the water use efficiency of all its facilities in a specific river basin. 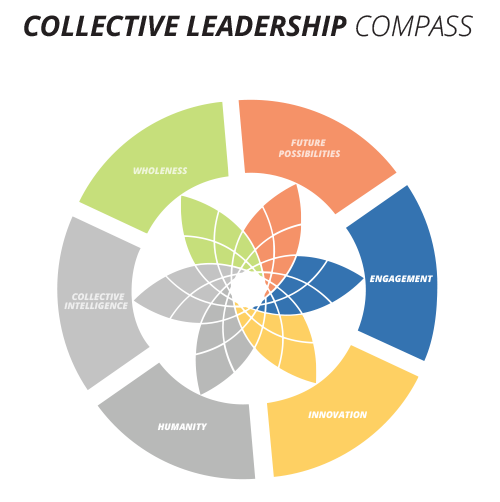 The most appropriate and helpful scale for a region depends on a variety of factors, including the availability of data, the intended audience, and the nature of the challenge faced or action implemented. Below is a list geographic and geopolitical scales at which water-related information can be reported and a description of when each might be most appropriate and useful. River basins. 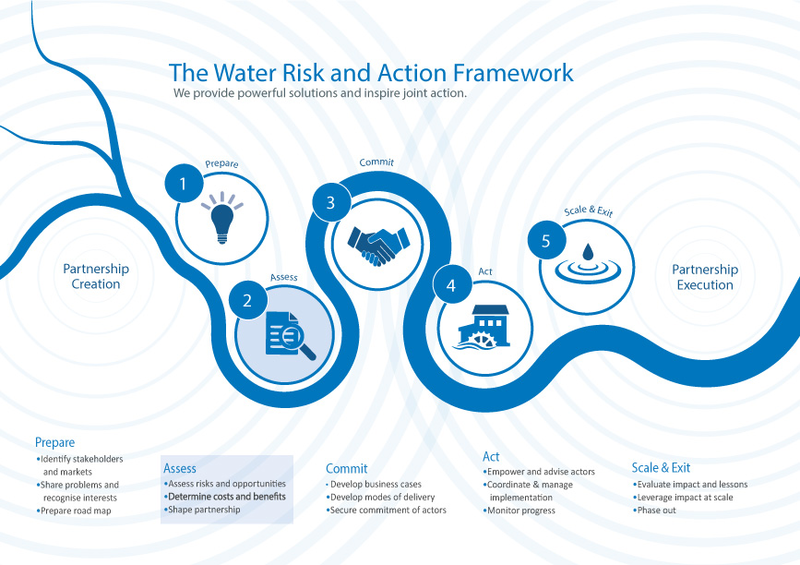 Companies at times report at the river basin level when a water-related challenge or action is in response to hydrological or environmental issues that face an entire river basin. The Interactive Database of the World’s River Basins offers common nomenclature and boundary delineations for the world’s river basins. Subbasins. Since water-related challenges can vary widely across entire river basis, the most insightful water-related reporting aggregates data by subbasin. Such granular reporting allows audiences to understand where specifically the most accurate water-related challenges are occurring and how responses can and should vary in different parts of one river basin. Aquifers. At times, water-related challenges and responses are focused around groundwater sources rather than surface water. In these instances, companies may want to report using aquifer boundaries as opposed to river basins. A description of the process by which a company determines which water-related topics are material (and thus should be reported). 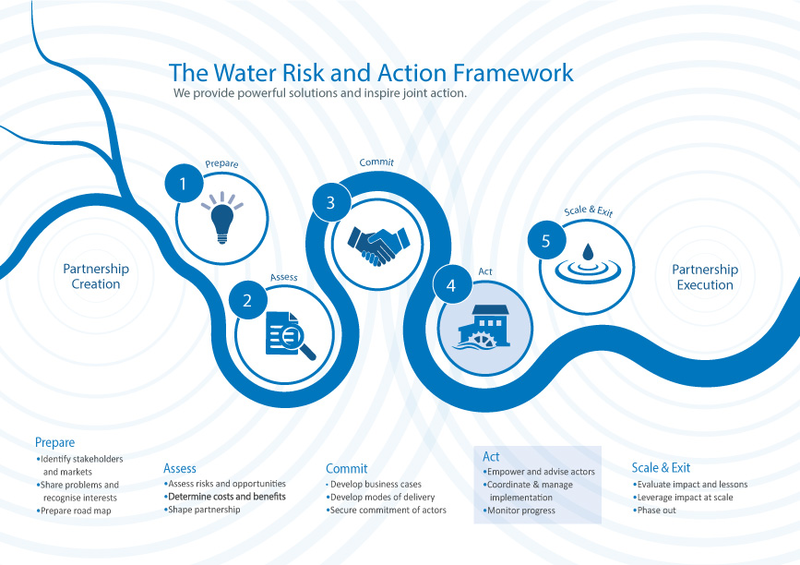 The company assesses 1) the significance of water-related topics and associated business risks, opportunities, and impacts, and 2) the influence that those topics may have on stakeholders’ assessments and decisions. Context. 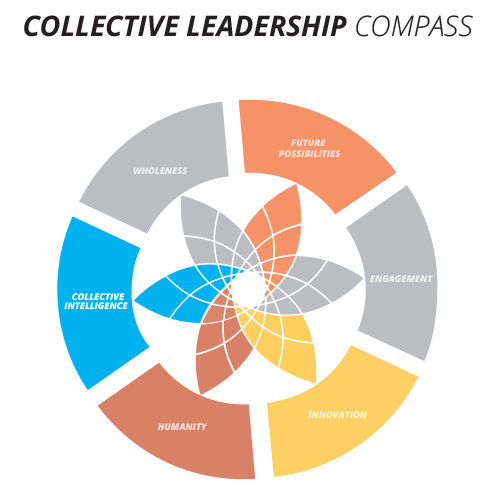 What water-related conditions and trends—at the global, regional, and local levels—are relevant to the company and its stakeholders? Performance. How does the company use and affect water resources? In what ways has performance changed over time? Compliance. Do company operations comply with applicable regulations, benchmarks, and standards? Business risks. How do company and supplier water performance and basin conditions affect the business with respect to profitability, productivity, regulatory pressure, and reputation? Business opportunities. How do water-related trends and challenges create opportunities for the company to expand and improve its business? External impacts. Do company operations or products create negative impacts on water-related conditions, such as availability, quality, and accessibility? Policies, governance, and targets. Has the company created systems and developed plans designed to improve its water performance and reduce water-related risks and impacts? Internal action. Does the company effectively respond to and manage specific risks and impacts by making changes to its production processes, procurement practices, and product design? External engagement. Does the company attempt to respond to specific risks and impacts by advancing the sustainable management of the basins in which it operates? Water is a uniquely complicated resource for companies to manage and report because its value, availability, and quality vary significantly depending on location. Context reporting describes the assessment and reporting of the basin conditions in which a company operates (e.g., water scarcity and water stress). Understanding water performance (how much water companies use, how efficiently they use it, the quality of wastewater discharge, and so on) helps companies adopt more sustainable water management practices that minimize negative impacts (or create positive impacts), mitigate water-related business risks, and capture opportunities. Compliance with water-related regulations as well as with voluntary standards or industry benchmarks may be used as a proxy for understanding a company’s approach to managing water resources. For instance, companies that experience relatively few incidents of noncompliance over time are less likely to have negative impacts on communities and ecosystems and thus less exposure to reputational risk. 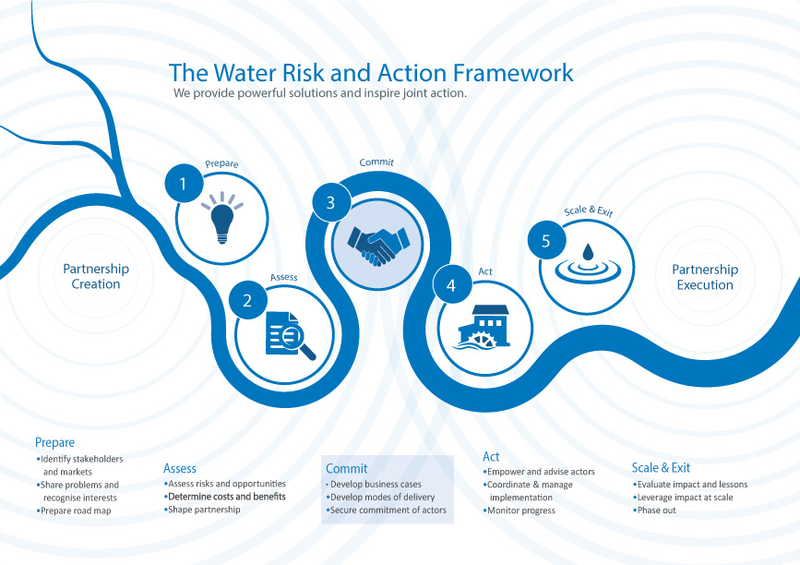 Water risk refers to the possibility of an entity experiencing a water-related challenge (e.g., water scarcity, water stress, flooding, infrastructure decay, drought). Many companies are exposed to water risks that can negatively affect business viability over the short or long term. 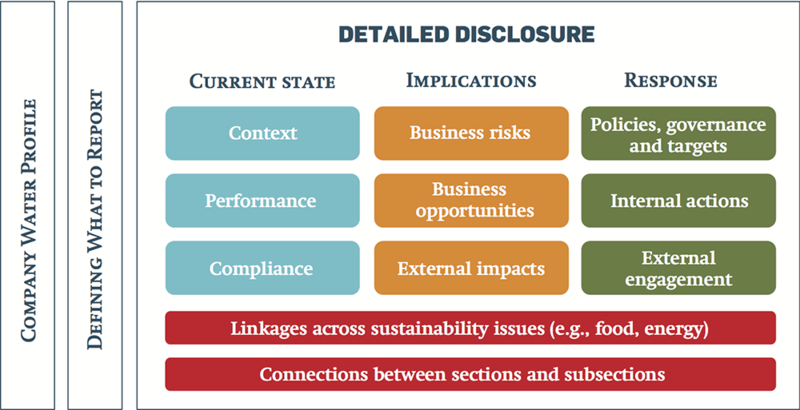 Disclosure on water risks enables audiences to better understand what the performance and conditions described in Current State reporting actually mean for the company and its stakeholders. For many companies, water may present opportunities to drive positive business value. For example, customers in water-stressed areas may have more loyalty to companies that are known to have very water-efficient operations, to sell water-efficient products, or to invest in improving local water resources. A description of a company’s water-related business opportunities, especially those related to operations, brand value, and new markets, is an important component of comprehensive water disclosure. A company's water practices may harm people and ecosystems, causing risk to the company, undermining sustainable water management, and potentially impinging on human rights. Key environmental and socioeconomic conditions that can be impaired by industrial and agricultural water practices are manifested in the three components of water stress: 1) water availability, 2) water quality, and 3) access to water and WASH services. One key element of Response reporting is a discussion of the company’s policies, governance, and goals related to water management. 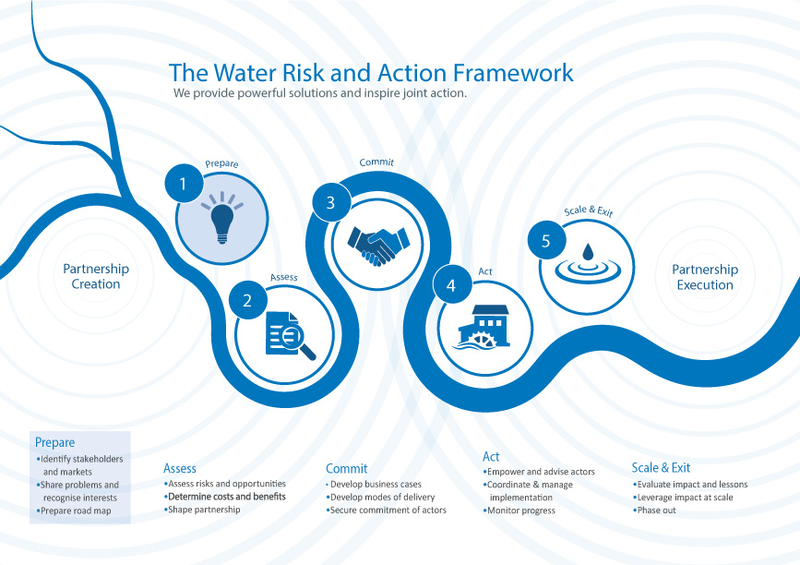 This enables disclosure audiences to better understand and evaluate whether companies are adequately addressing water-related challenges. Corporate water management programs, strategies, and goals are effective only insofar as they drive meaningful change at the facility and basin levels. One aspect of such change is action that improves the company’s operational performance and mitigates the negative impacts associated with the company’s operations and those of its suppliers. Many water-related business risks stem from the water-related conditions outside a company’s fenceline. 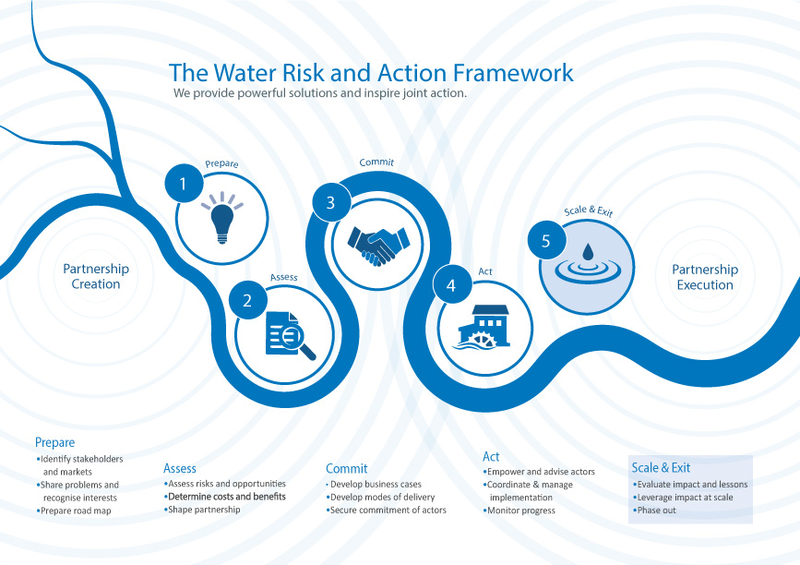 Because of this, companies are increasingly pursuing (and reporting) external engagement strategies geared toward improving water resource management at the local, regional, and national levels, thereby potentially mitigating water risk. External engagements should advance a company’s water strategies. One of the most important aspects of effective water disclosure relates to a company’s ability to make connections among the information areas (the sections and subsections) within the Disclosure Framework. In some instances the connections are inherent and are made automatically. 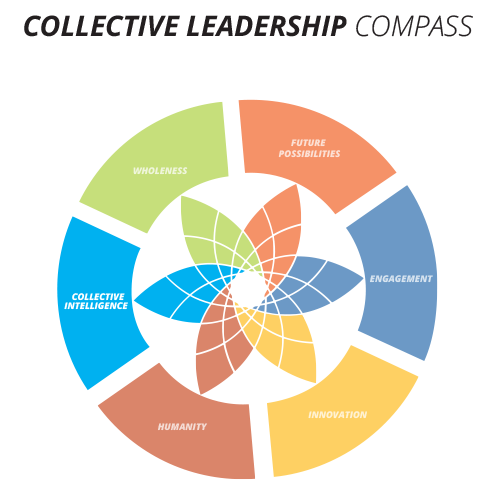 In other instances, making the connections adds relevance and meaning to the information provided. For instance, response strategies should explicitly address the water-related risks, impacts, and opportunities the company has identified as material. Though practice in this area is quite nascent, companies also endeavor to consider and report the linkages between water and other sustainability topics, such as food production, energy use, land use, and climate change. Related considerations include the extent to which water-related challenges contribute to other corporate sustainability issues and how other sustainability challenges may affect the company’s approach to water management.